This medium sized well-kept gated community is located off Rhinehart Road just adjacent to Timacuan in Lake Mary. Originally developed by Lennar, there approximately 100 homes, including those with lake frontage and golf course views. 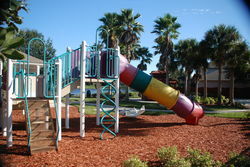 The community features a well equipped recreational area which includes a basketball court and playground. Shopping and restaurants are very nearby and the community is within a mile of Interstate 4 for easy commuting. 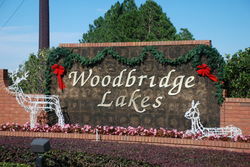 If you would like to tour Woodbridge Lakes or any other community - contact us ! !